Former Minister of Information, now national secretary of the All Progressives Grand Alliance, APGA, Labaran Maku, has said that the unity of Nigeria would be in danger once the middle-belt region is destabilized. Maku, who spoke in Lafia, the Nasarawa capital, during the 15th Anniversary of Radio Nigeria Precious FM Lafia, stressed that the middle-belt region is the belt that holds Nigeria’s unity. He said, “The middle-belt region is the belt that holds Nigeria together, once the middle-belt region is destabilised, Nigeria would divide, once the middle is divided, the unity of Nigeria is in danger. “Once that peace is destabilised, there would be problem. That is my worry about Nigeria today because I have been in the Ministry of Defence and I understand the overwhelming responsibility, which the country is going through now. 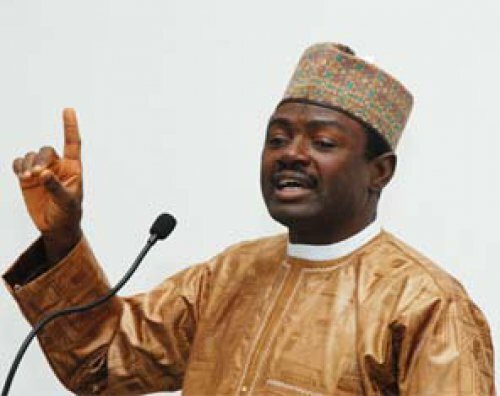 Maku said that he would continue to make the point that all governments, especially at the state level, carry out their number one responsibility to peace. “When we were here, we saw the root of this crisis taken place in 20011. We rose to the occasion and brought it down and there was stability. “Today, this crisis is becoming like a diabetes, you are treating it today, tomorrow it worsens,” he said.